Anyway, all that to say, names are important! As parents, we put a lot of thought into our child’s name. As Muslim parents, we choose names of the heroes of our religion and/or names with wonderful meanings. Often, these names end up being ones that people struggle to pronounce. Sometimes, these names are abandoned in favor of a nickname or a more common name. I want to try to foster pride in these names, these Muslim identities, especially in the current political climate. I want to inspire our kids to embrace their name, and make the names something to aspire to. 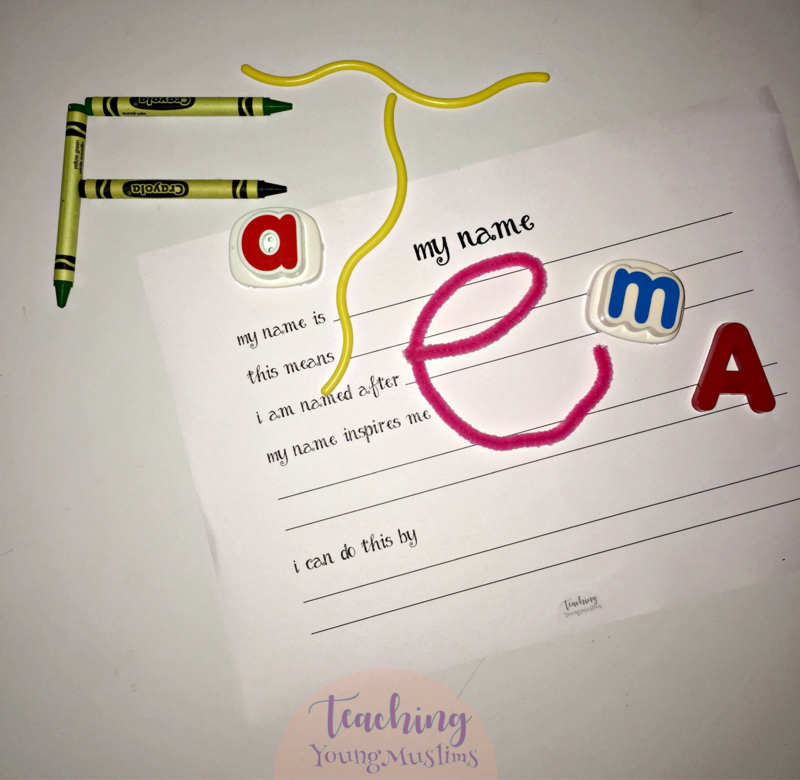 For this, I have created a worksheet for our Muslim kids to explore their names, and think about how they can treasure their identity. You can download this here. InshaAllah this prompts some interesting discussions about your child’s name and leads to their increased appreciation for their name. I’d love to hear how it goes – leave a comment below! !